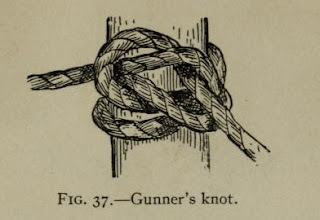 Few realize the importance that knots and cordage have played in the world's history, but if it had not been for these simple and every-day things, which as a rule are given far too little consideration, the human race could never have developed beyond savages. Indeed, I am not sure but it would be safe to state that the real difference between civilized and savage man consists largely in the knowledge of knots and rope work. No cloth could be woven, no net or seine knitted, no bow strung and no craft sailed on lake or sea without numerous knots and proper lines or ropes; and Columbus himself would have been far more handicapped without knots than without a compass.